Finding someone is hard, especially if you have no idea where he/she is. But with the use of tracking device it eases the problem. 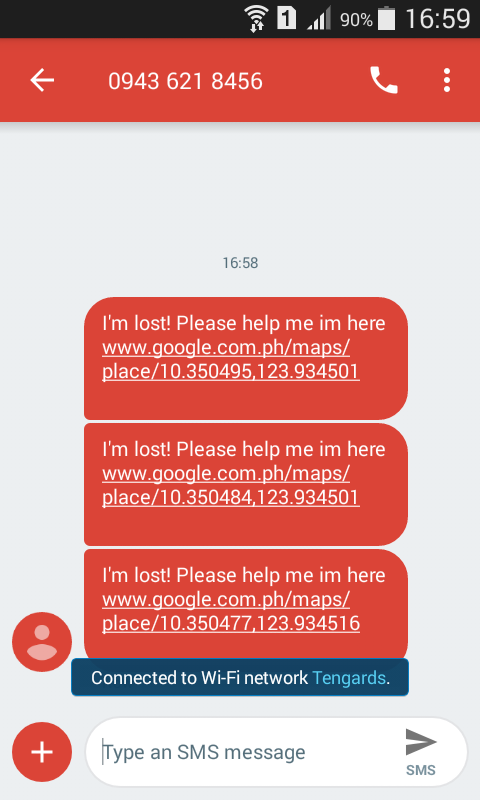 You can now easily monitor the person, your car and etc. whenever it's lost. So now, let's build our own tracking device as easy as counting 1 2 3. GPS stands for Global Positioning System and used to detect the Latitude and Longitude of any location on the Earth, with exact UTC time (Universal Time Coordinated). This device receives the coordinates from the satellite for each and every second, with time and date. GPS offers great accuracy and also provides other data besides position coordinates which we can use later on. I'm using the NEO-6MV2 because it's very small in size(1.5"x1.0"). GSM is a mobile communication modem; it stands for *Global System for Mobile Communication (GSM). It was created to describe the protocols for second-generation (2G) digital cellular networks used by mobile phones and is now the default global standard for mobile communications. We will use this in order to send the coordinates that we can receive from the GPS Module to the third party whom will receive the message. 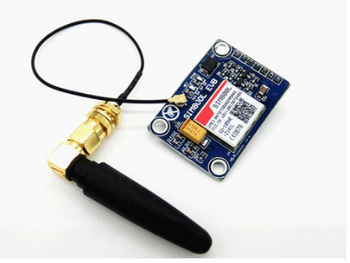 I'm using the GSM 800l Module because just like the GPS Module it's small. We will use a micro sim on this, and take note that the sim must have load. 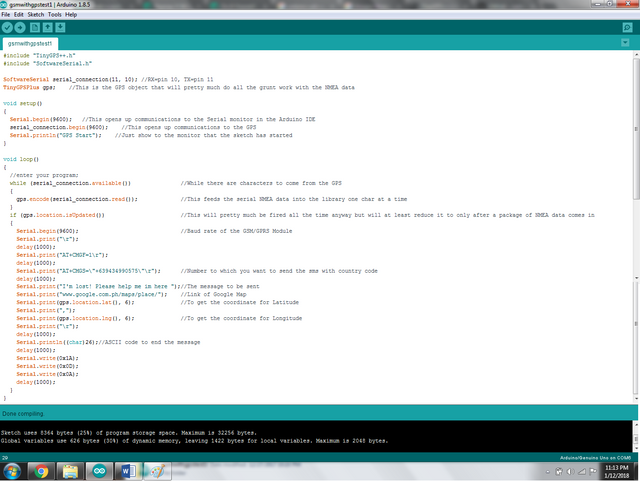 Then, download the library TinyGPS++ this will be used for later purposes. 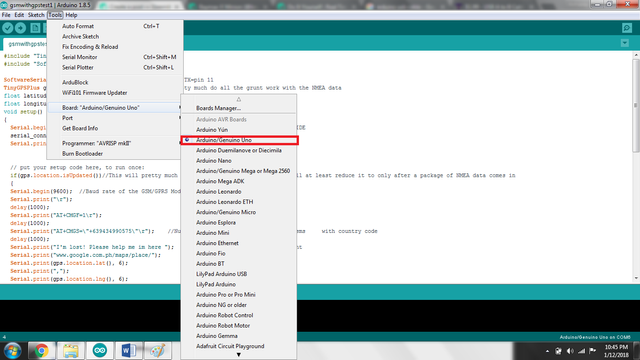 After which, extract the file and copy the folder then Go to your Program Files and find the Arduino Folder > libraries then paste the folder of TinyGPS++. 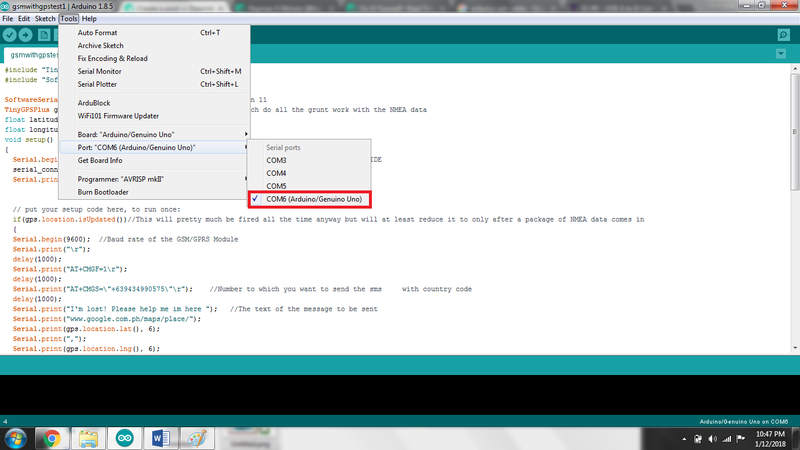 Copy the code then compile. 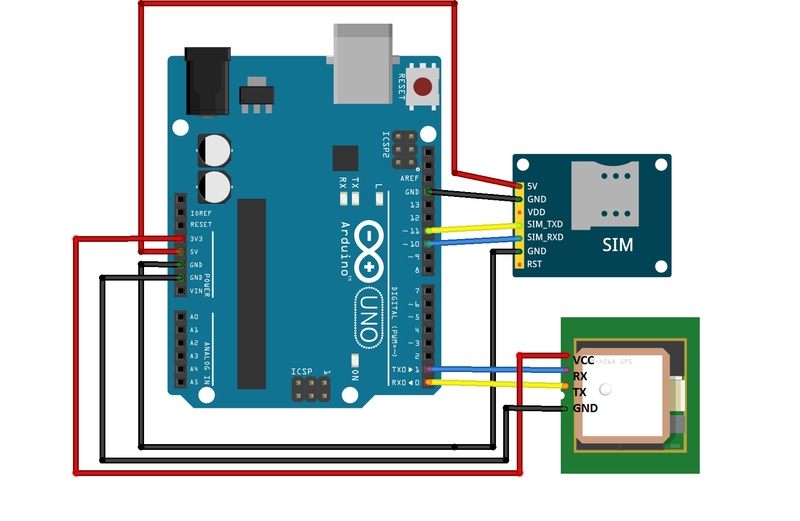 If it has no error then you can now upload the code but before that make sure that the TX and RX (pin 0 and pin 1) in the Arduino Uno are disconnected to the GPS Module so that it won't give you errors while uploading the code. And if it's done uploading you can re-connect it again. Click the link on the message. And take note that you must have to be connected to the internet so that you can view the location. 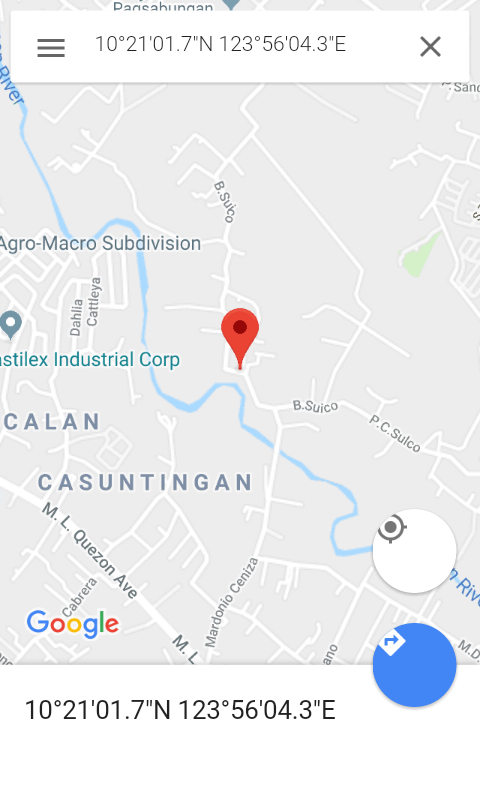 You can now see the location where he/she is. 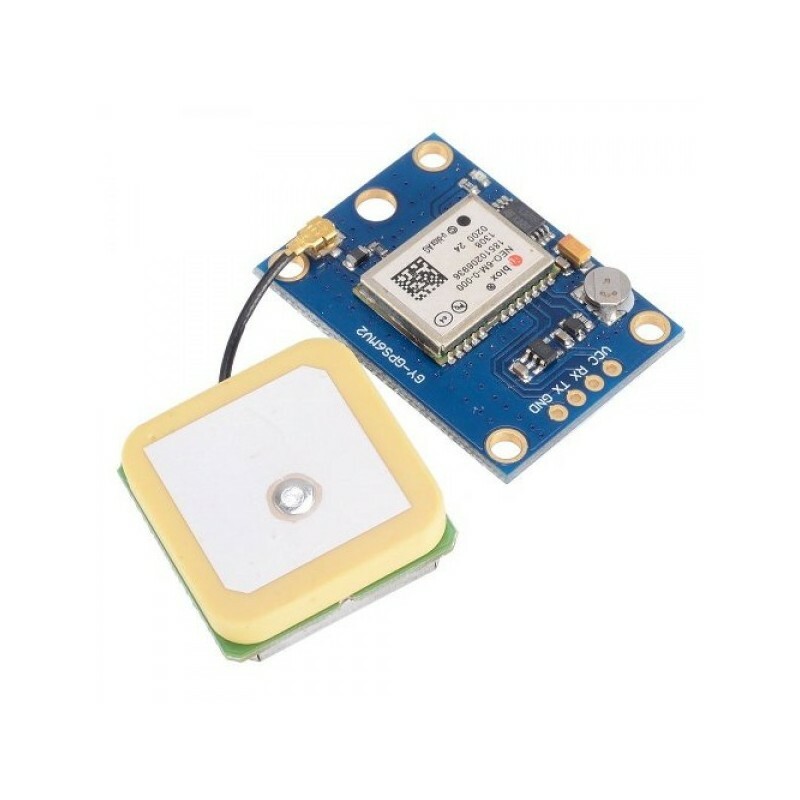 Tip to remember: The GPS Module will take time to receive data to the satellite if you can see a green amber blinking it means it's receiving the data. 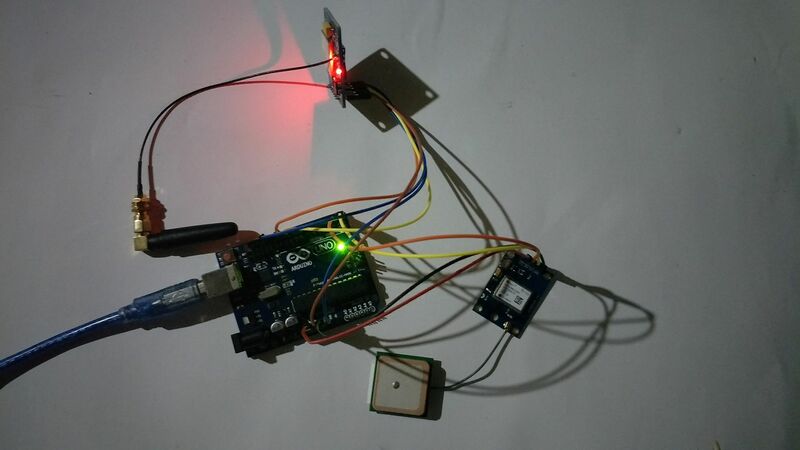 And it is more convenient to go outside so that the module can receive the data faster. Thanks for reading! Hope you learn something. For comments and suggestions please feel free to comment below. Asking for upvote follow and resteem is prohibited. Wow! this is exceptional @kimp0gi! This is a complete step-by-step procedure of a project. It is very helpful to the community. Truly, engineering makes our life easier.